I trust that the readers of this outpost will forgive a little moment of self-publicity. The book pictured below has just been published (New Generation Publishing, £6.99) and while it has absolutely nothing to do with Eastern Europe, it could be categorised as ‘travel’. 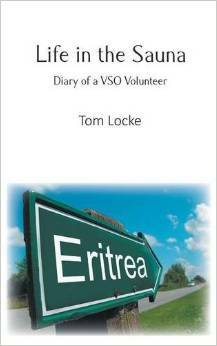 The book details this writer’s two-year stint as a volunteer for Voluntary Service Overseas. I was posted in Assab, on Eritrea’s Red Sea coast, working as an IT expert at a petroleum refinery. The area is one of the hottest places on the planet, so the challenges were manifold. Sometimes it was fun, sometimes it was hellish. It was, though, inevitably different and the tale is told here. The book is available from Amazon, as well as many other good book shops. And some bad ones, as well. This entry was tagged Books, Literature. Bookmark the permalink.